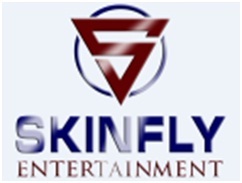 alphdupre25: Lyle Howry of Skinfly Entertainment, Gear Up For The Explosive Second Installment of His International MMA Hit Film Franchise STREET. Lyle Howry of Skinfly Entertainment, Gear Up For The Explosive Second Installment of His International MMA Hit Film Franchise STREET. 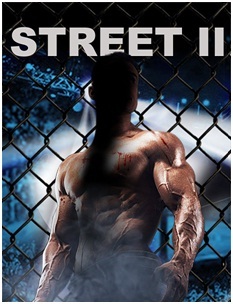 20, December 2017: Hollywood film producer and philanthropist Lyle Howry of Skinfly Entertainment, Beverly Hills, gear up for the explosive second installment of his international MMA hit film franchise STREET. STREET II DEATH FIGHT will incorporates human trafficking within the plot and the film will be loaded with nonstop action and surprises. First installment of the Movie STREET was released on 30 October 2015. Movie revolves around 23-year-old former wrestling champion Remo Street who spends his days job searching and with great ingenuity forces himself to train at night whenever and however he can. It seems his lifelong dream of becoming a professional fighter just might elude him until one fateful night when destiny takes him an entirely new direction. While finishing one evening from a days job hunt this young man is forced to fight for his life when a chance encounter with a beautiful woman puts him in the corner of an up and coming champion, a Russian gangster and the seedy underworld of arson, gambling and bare knuckle boxing. His passion for fighting becomes a struggle to train a heartless champ and keep his family safe while he balances between the two worlds. Howry and Skinfly Entertainment have partnered with non-profits, such as Mission Save Her and The Lyle Howry Foundation for Foster Kids in Film, to raise awareness to the global crisis of human trafficking. Portions of the film soundtrack proceeds will be donated to these non-profits. The STREET II DEATH FIGHT soundtrack will feature international artists and prominent musicians, including Grammy winners and musical icons. Soon-to-be released details including director, artists and Hollywood stars boarding the franchise announcements forthcoming.